SKU: N/A. 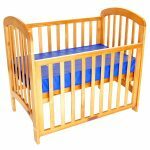 Categories: Childcare, Vinyl Mattress, Nursery Furniture, Mattresses. Tags: Babyhood, Breathe Eze Mattress. The babyhood Vinyl Mattress is designed to last. Using high density foam and high quality soft vinyl the mattress is waterproof and firm. 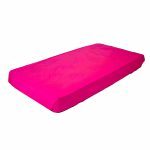 The mattress is available in three sizes as well as custom made sizes (Custom size may not have zip off cover).